Courtney Buses, have bus advertisements running across Bracknell, Wokingham, Crowthorne, Camberley, Windsor and Maidenhead, plus many more. We are proud for our long-standing relationship with local businesses and organizations, many of whom have been regular advertisers on our fleet of buses. Our services cover a community of nearly a quarter of a million people In a highly prosperous area, bus advertising represents an opportunity that is highly attractive and can be well targeted to help you reach the customers you want. 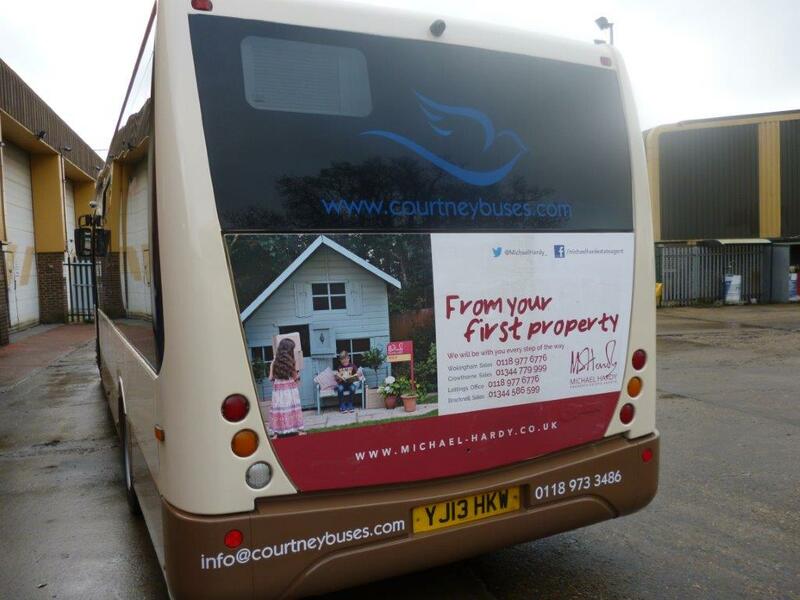 With a modern fleet of 60 buses constantly on the move in highly visible locations, Courtney’s buses can carry your name and message to the busy potential customers, who can otherwise be hard to reach when they’re living their busy lives. Bus advertising cost? With many years experience in bus advertising, we aim to give clients cost-effective, high profile and successful campaigns to suit all types of business. To advertise with us, please call Karen on 0118 467 6408 for a quote.